My daughter and her fiance Pete, are majorly into cooking these days. I love hearing about all the exciting recipes they try out. One of their really hit recipes is the classic Spanish dish of Paella, which Pete recently made. This Paella has a bit of everything in it and is flavorful, nourishing and looks colorful besides being really delicious. 1. To prepare the herb blend, combine the first 4 ingredients, and set aside. 2. Combine water, saffron, and broth in a large saucepan. Bring to a simmer (do not boil). 3. Heat 1 tablespoon oil in a large paella pan or large skillet over medium-high heat. Add chicken; sauté 2 minutes on each side. Remove from pan. Add sausage; sauté 2 minutes. Remove from pan. Add shrimp, and sauté 2 minutes. Remove from pan. 4. Reduce heat to medium-low. Add onion and bell pepper; sauté 15 minutes, stirring occasionally. 5. Add tomatoes, paprika, and 3 garlic cloves; cook 5 minutes. 6. Add rice; cook 1 minute, stirring constantly. 7. Stir in herb blend, broth mixture, chicken, sausage, and peas. 8. Bring to a low boil; cook 10 minutes, don’t stir once the broth has been added. 9. Add mussels to pan, nestling them into rice mixture. Cook 5 minutes. 10. Arrange shrimp, heads down, in rice mixture, and cook 5 minutes or until shrimp are done. Sprinkle with 1/4 cup lemon juice. 11. Remove from heat; cover with a towel, and let stand for 10 minutes. Serve with lemon wedges, if desired. Enjoy! Once I tried this delicious and savory treat, I was hooked and had to learn how make it. It is surprisingly quick and easy to make, making it one of my go-to recipes. Special thanks to Pete for the recipe! 2. Butter the outside of the bread so when you put it on the baking sheet the un buttered parts are facing the inside of the sandwich (be generous with the butter). 3. 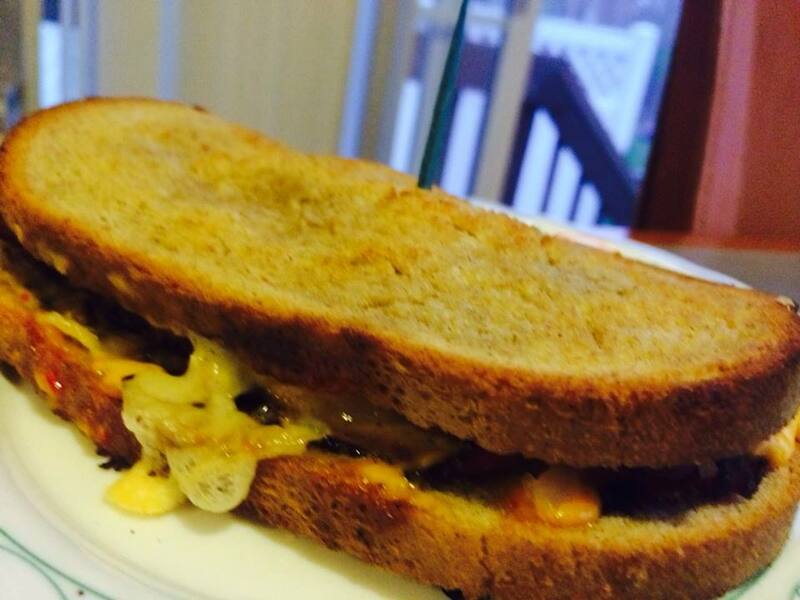 Make the sandwich in the following order; meat, sauerkraut, thousand island, Swiss cheese. Again the buttered parts should be facing outwards. Quick, mouth-watering, and easy to make – this lightweight dessert is a surefire crowd pleaser. Appropriate for any occasion, people will be impressed not just by the elegant name but also by the sumptuous taste. Be sure to give this one a try! 2. Peel and slice pears into quarters and place in a microwavable bowl. 3. Pour in shot of brandy over pears and heat in microwave for 90 seconds. 4. Whisk the sugar, almonds, butter and flour together in a small bowl. 5. Take the pears out and stir the juices left in the microwavable bowl in with the almond mixture. 6. Transfer the entire mixture into an oven-proof dish. 7. Lower the pear slices into the mixture. 8. Bake in oven for about 40 minutes or till done. 9. Remove from oven and decorate the frangipane with some fresh fruit. I had blackberries on hand so I used those. A light and refreshing afternoon snack! Healthy and delicious, avocado is one of the most versatile fruits. In addition to using it in salads and guacamole, it also tastes great in smoothie form. My friend found this recipe (courtesy of Tastemade) and since we are both avocado lovers, we just had to try it out. 1. Add water and sugar to a pot, and bring to boil for about 1 minute to create a syrup. 2. Store in the fridge for about 20 minutes so it is chilled. 3. Cut out the avocados and remove the pit. 4. In the blender, first add the ice. Then, add the avocados and the sugar syrup and blend away till the mixture is smooth. 5. Pour into glasses and garnish with chocolate shreds or chocolate syrup (optional). 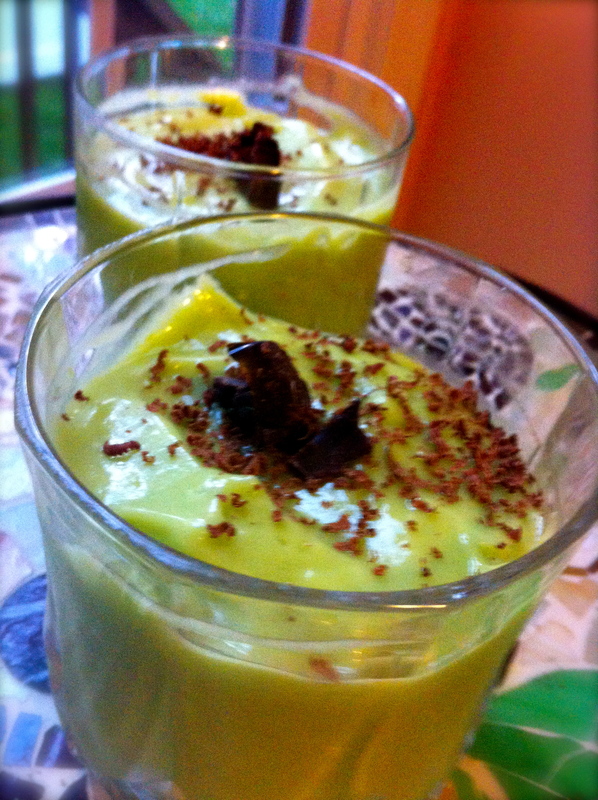 I wanted to make a healthy dessert which used seasonal fresh fruits. With so many fresh berries(locally produced) available abundantly in the farmers market, I decided to make Strawberry and Blueberry crumble. A delicious dessert this can be served with a side of cream to drizzle over it or with a big scoop of ice cream! 1. Wash, hull and quarter the strawberries. Mix the blueberries and strawberries together. 2. Preheat your oven to 350˚F and set aside a 7 x 11-in baking dish. 3. Using a food-processor, mix the flour, oats, sugar, cinnamon and salt, and pulse to combine. 4. Add the butter and pulse until the butter is evenly dispersed. 5. Remove from food processor into a plate and roll the mixture between your fingers to form crumble. 6. Put the berries at the bottom of your pan and spread the crumbs evenly on top. 7. 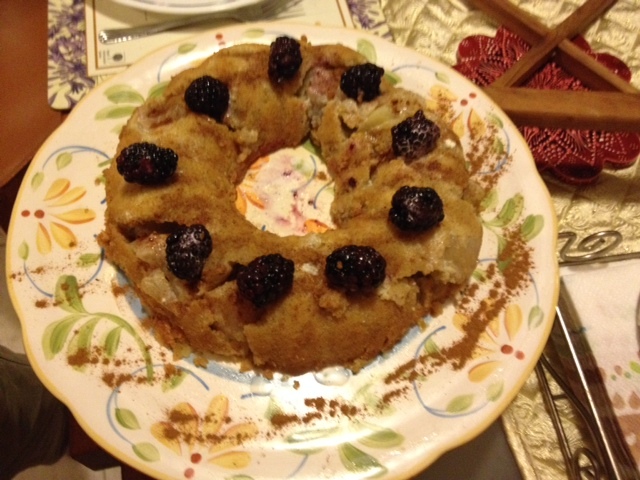 Bake for 35-40 minutes until the topping is golden brown and the berries bubble thickly. 8. Let cool for 10-15 minutes and serve with a drizzle of heavy cream or a scoop of ice cream. Quinoa is versatile, healthy, delicious, and easy to make…what more can anyone ask for?!? 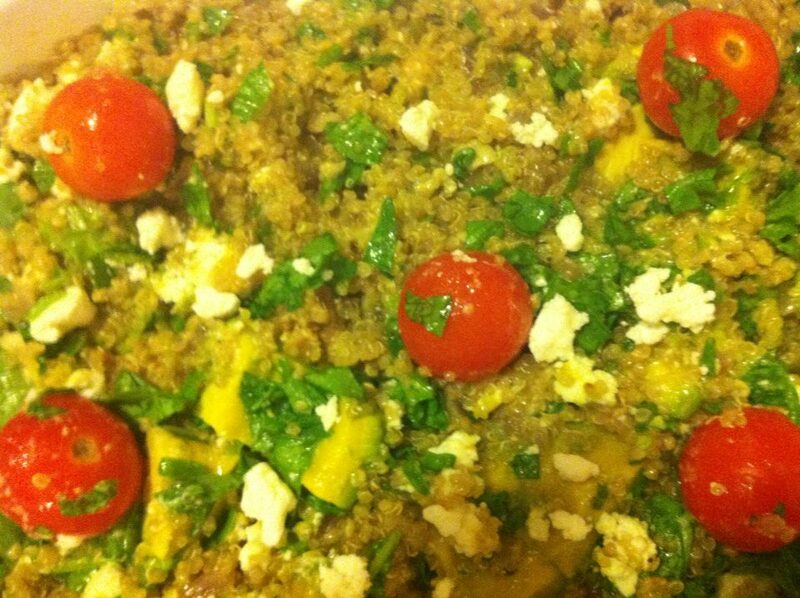 One of my favorite recipes is quinoa tossed with crumbled feta, spinach,cherry tomatoes and you guessed it…avocados! Mom and I made this tasty treat in less than half an hour (and devoured it in half that time). 1. Warm oil on a saucepan over medium heat. Saute garlic and onion until onion is translucent (3-4 minutes). 2. Add quinoa, stirring constantly for 3 minutes. 3. Add the chicken stock, cover and simmer for 20 minutes. 4. Remove the pan from the heat and let it sit for about 5 minutes. 5. Serve fluffed and tossed with avocado, tomatoes, spinach and feta.